We Proudly have two Locations to serve you. Las Carretas Taco Shop first opened its doors April 13th, 1998. Our roots are tied to the San Diego area where the couple that made it all happen met. They brought every San Diegans favorite California breakfast burrito with them. Being a first generation family owned and operated business we take pride in not only our great costumer service but also our mouth watering food. From our tacos to burritos to tortas and even to our excellent menudo, which is served daily, our customers cannot get enough of it. Our thriving business has grown over the years. In the last few we have started to share our love for authentic Mexican food even further. 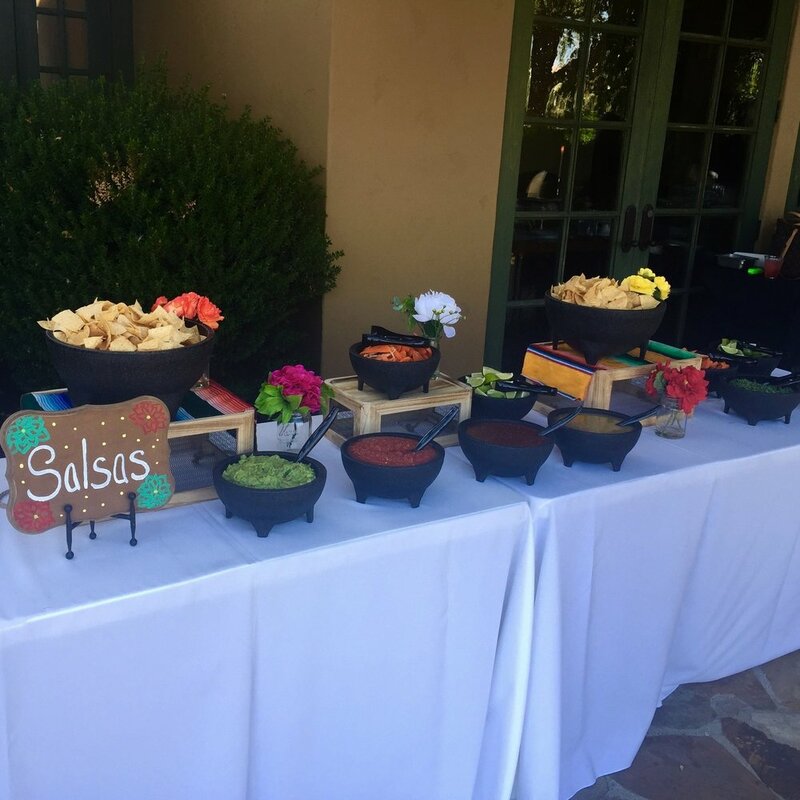 Through our catering services we have helped families lighten the stress of party planning by taking care of their food at a myriad of festivities such as weddings, baby showers, quinceaneras, etc. With technology booming, You can also find us on social media such as Facebook and Instagram @lascarretastacoshop. Breakfast: Served from 6:00 A.M. - 10:30 A.M.
with eggs, beans, and mild salsa. with bacon, ham, potato, egg, cheese, and mild salsa. with eggs, beans, cheese, bacon, and mild salsa. with ham or bacon, beans, and tortillas. with bacon, beans, and tortillas. with lettuce, tomato, and cheese. with cabbage, cheese, and salsa mexicana. with guacamole and mild salsa. with onions, cilantro, & mild salsa. with lettuce, tomato, cheese, and your choice of rice or beans. with your choice of rice or beans. with lettuce, tomato, cheese, guacamole, sour cream, rice, and beans. with onions, cilantro, mild salsa, and your choice of rice or beans. with guacamole, mild salsa, and your choice of rice or beans. with lettuce, tomato, cheese, guacamole, and your choice of rice or beans. with bell peppers, onions, tomato, and your choice of guacamole or sour cream. with rice and tartar sauce. with fish, cabbage, tartar sauce, and salsa mexicana. with bacon, ham, potato, egg, and cheese. with carne asada, french fries, guacamole, sour cream, and cheese. with carne asada or pollo asada, onions, cilantro, mild salsa, non-fried beans and rice. with beans, meat, lettuce, tomato, cheese, guacamole, and mild salsa. with guacamole, sour cream, cheese, and a side salad. with lettuce, tomato, cheese, pickles, ketchup, and mayonnaise. with lettuce, tomato, pickles, ketchup, and mayonnaise. with lettuce, tomato, cheese, pickles, ketchup, and mayonnaise. Also includes French Fries and a Small Drink. with lettuce, tomato, pickles, ketchup, and mayonnaise. Also includes French Fries and a Small Drink. French fries with carne asada, guacamole, sour cream, and cheese. with shrimp, onions, cilantro, tomato, cucumber, avocado, and tomato juice. with shrimp, onions, cilantro, tomato, and avocado. with bell peppers, onions, tomato, your choice of guacamole or sour cream. (4) rolled tacos with guacamole and cheese. with beans, your choice of meat, lettuce, tomato, cheese, guacamole, and olives. with your choice of beef or chicken and comes with sour cream and cheese. with a beef taco, enchilada, bean tostada with rice. with beans, your choice of meat, lettuce, tomato, cheese, and sour cream. with your choice of burrito. with your choice of shredded beef or shredded chicken tacos. with onions, cilantro, and mild salsa. with beans, lettuce, tomato, and cheese. Shredded Beef / Shredded Chicken with sour cream and cheese. with beans, your choice of meat, lettuce, tomato, and cheese. with mole sauce and cheese. with cheese, beans, your choice of meat, lettuce, tomato, guacamole, and sour cream. with nacho cheese, your choice of meat, beans, and guacamole. with beans, your choice of meat, lettuce, tomato, cheese, guacamole, and sour cream. with beans, meat, lettuce, tomato, cheese, guacamole, and olives. with your choice of meat and monterey jack cheese. Monday-Thursday: 6:00 A.M. - 9:00 P.M.
Friday-Saturday: 6:00 A.M. - 10:00 P.M.
Sunday: 8:00 A.M. - 9:00 P.M.
Monday-Thursday: 7:30 A.M. - 9:00 P.M.
Friday-Saturday: 7:00 A.M. - 9:30 P.M.
A catering for 50 people get 2 different types of meats. A catering for 100+ people get 3 different types of meats. A catering for 50 people get 2 drinks. A catering for 100 people get 3 drinks. A catering for 150+ people get 4 drinks. Horchata: A sweet and creamy, rice and cinnamon flavored drink. Lemonade: Sweet but also tart lemony goodness. Ice Tea: Freshly brewed Nestle iced tea. Spa water: Water infused with fresh berries, lemon, cucumber, and fresh mint leaves. If you are interested in a catering or an event, please fill out this form down below and we will reach out to you as soon as possible. If you are interested in working at Las Carretas Taco Shop, copy and paste the link below in a new web page. You can then fill out the information and wait further instructions after submitting the application. Thank you!